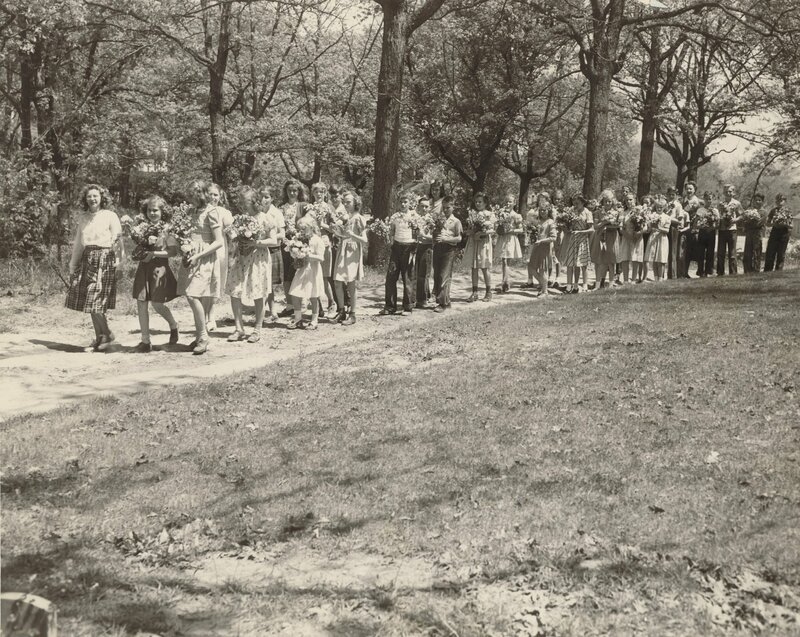 School children from Hall School, each carrying a vase of flowers, walk on a cemetery path. A small piece of a headstone can be seen in the lower left corner. Photograph 8 X 10 in.